Here on TechClient, everyday we present free best (HQ) resources for your web design & graphic design projects. Today we are going to share free Ultra UI Kit PSD . 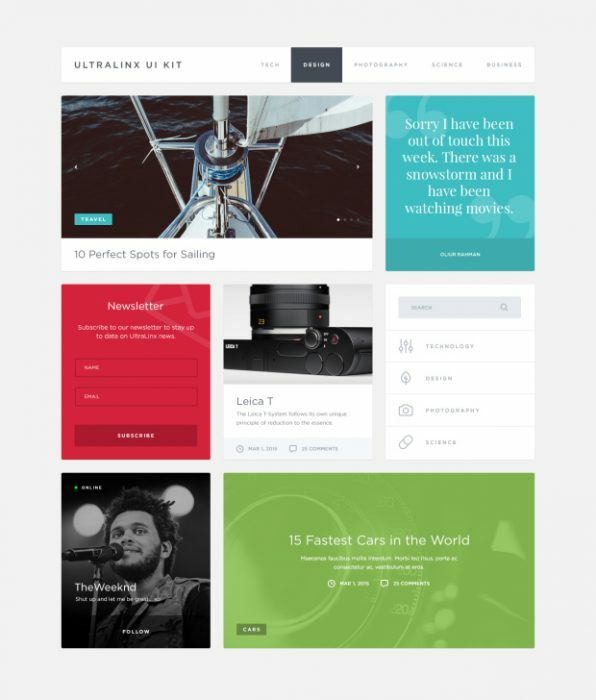 In this post we present free Ultra UI Kit PSD that presented by theultralinx. A good friend suggested putting an UltraLinx style UI kit together, so here we are. Fonts used are Gotham and Playfair Display.